Everybody makes mistakes. Nonetheless, some mistakes can have more terrible consequences than others. 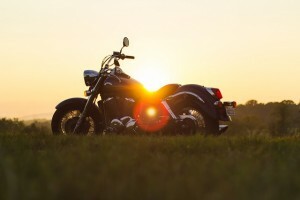 If you're a motorcycle owner who wants to remain safe, read through and avoid the following common mistakes, so you can continue riding joyfully. The first mistake you can make is a very dangerous one: not learning about the motorcycle you'll be riding. As you can imagine, not being properly informed can mean that you do things with your motorcycle that you shouldn't do (for instance, going through terrains that it isn't made for), which can put you in danger. You may think that a motorcycle is a fairly easy vehicle to ride. Even so, it's still a good idea to take a few lessons and practice on safe terrains before heading out to the streets. Neglecting this important step may mean that you're riding an out-of-control vehicle or cruising down a highway in rush hour without the necessary experience or skills. Take lessons to ensure you'll know how to drive your motorcycle. You may think that your motorcycle doesn't have the same complex system that other vehicles have, which is why you don't need to maintain it as often. Nonetheless, you would be wrong. Motorcycles require constant and proper care to ensure their function and your safety. Visit a mechanic regularly to keep your vehicle in top shape and working perfectly for longer. Part of your motorcycle's maintenance involves changing the engine's oil every so often. If the time for this crucial task is nearing, turn to John O Brown in Show Low. They carry AMSOIL's 100% synthetic motorcycle oil that can guarantee a happy and properly maintained machine. Call (520) 444-2634 for more information on the best synthetic oil in Show Low. Aside from keeping up with your motorcycle's maintenance schedule, you should also do quick inspection rounds or safety checks on it before riding it. Look at its tires and their condition, check the lights, test the brakes, and more, so you can be certain that everything in your motorcycle works as expected. If something doesn't, take it to a professional before riding. When you're riding a motorcycle, you're basically naked and exposed to every situation that occurs around you. A way to keep your fragile body protected even when riding, however, is to wear the necessary protective gear. A helmet, for example, can literally save your life if you were to be in a collision with another vehicle, so do not take it for granted and always wear it. A big mistake many motorcyclists make is assuming that they're just like other vehicles out on the road. Again, you're more exposed and you're less visible at the same time, so you need to be extra, extra, extra careful. This means that you should mind your riding: don't go over the speed limit, keep your distance, and understand how traffic works so you can remain safe. Needless to say, it is also incredibly important that you follow the rules (general traffic rules, and those involving motorcycles). For instance, you should be old enough to ride, you shouldn't ride while under the influence, and you shouldn't ride with more people than permitted on the motorcycle. The rules are meant to keep you safe, so ride by them so you can have an enjoyable time. Finally, you need to be extra aware of your surroundings. Not only should you be a defensive rider and notice what those around you are doing, but you should also keep your eyes on the road, as you may find debris, loose dirt, a puddle, or other items that can make you lose control of your vehicle. Likewise, do not ride if you notice the temperature isn't the best since it can make you more vulnerable. John O Brown in Show Low can offer AMSOIL's full line of high-quality products that will keep your motorcycle or other vehicle working perfectly. Call (520) 444-2634 or visit the online store if you require synthetic motorcycle oil in Show Low for your vehicle's next synthetic oil change.